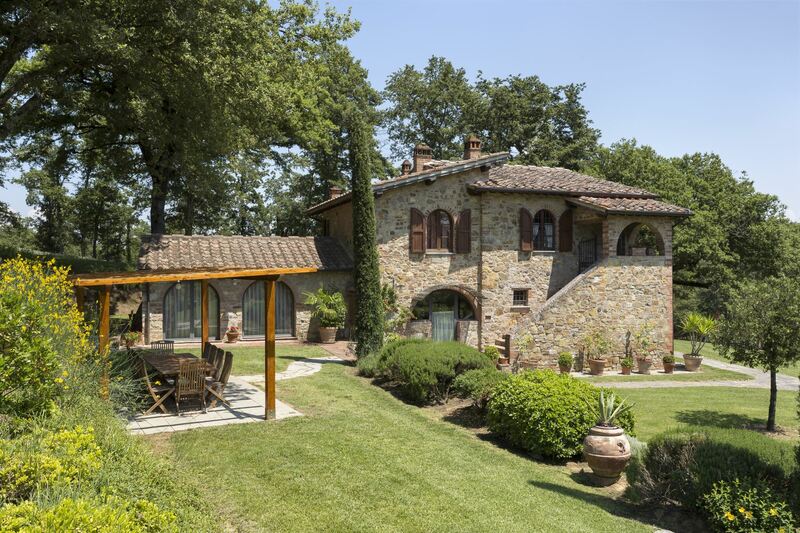 Lucignano is one of the most interesting centres of Tuscany because of its original castle-like structure with an elliptic plan with the streets within the walls moving towards the centre in a series of concentric circles. Apart from a few exceptions the buildings built between the XIII and XVIII centuries are in excellent condition and give the town an air of nobility, accentuated by the solid structure of the Rocca (XV century), by the majestic provostry and by the gothic church of San Francesco. In the town hall, rich in frescoes of the Sienese and Aretine schools, there is a small museum notable for the precious works and objects housed there. The “Albero della Vita” (tree of life), an original reliquary and splendid example of late gothic Aretine goldsmithery is of particular importance. On the last two Sundays of May the traditional “Maggiolata Lucignanese” takes place. A parade of allegorical floats covered in colourful flowers draws a large number of visitors to this small village in the Valdichiana. 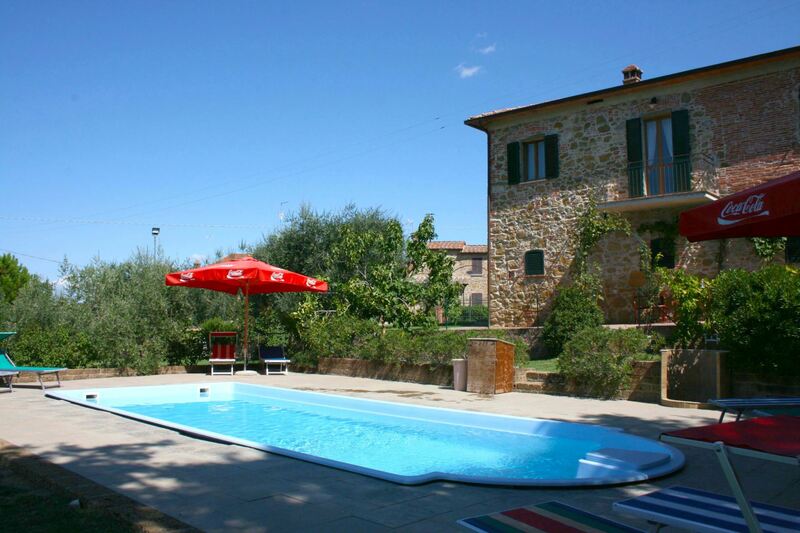 Stone villa with private pool near the town of Lucignano, in the countryside between Arezzo and Siena. 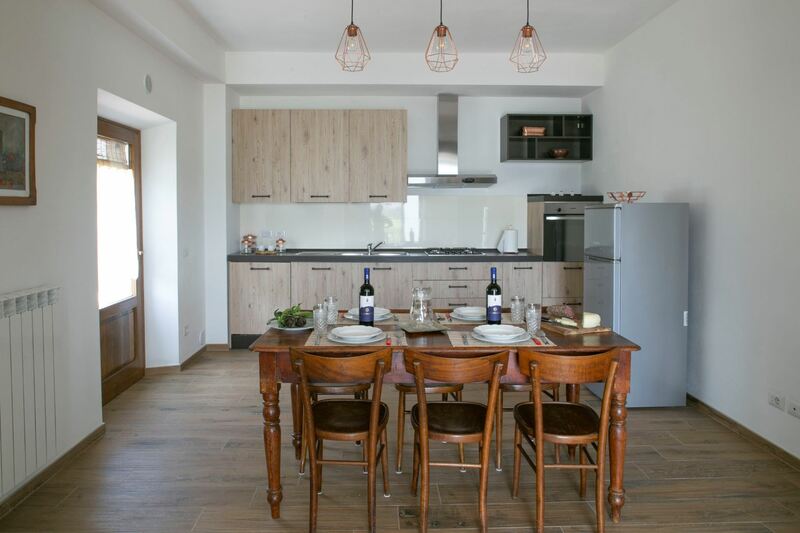 Equipped with table tennis, barbecue and free Wi-Fi. Large, green and fenced garden. 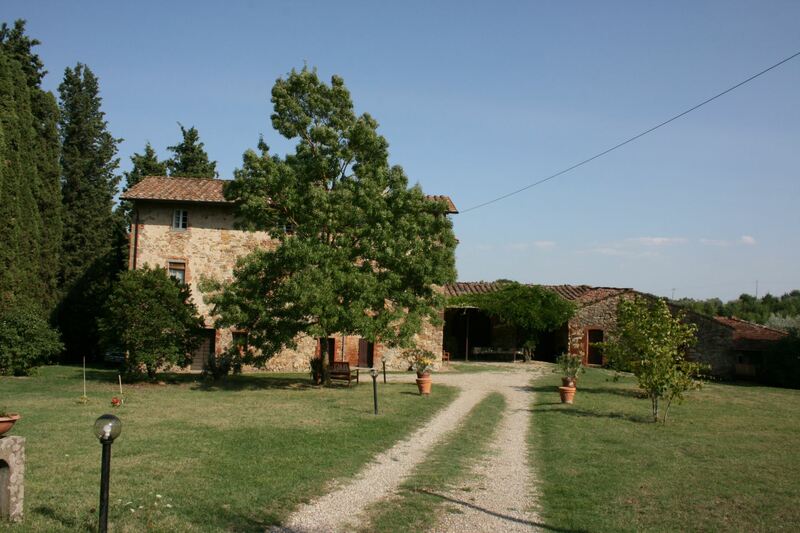 Stone farmhouse for 10 persons with private garden and swimming pool just a few steps from the village of Lucignano, in the province of Arezzo. 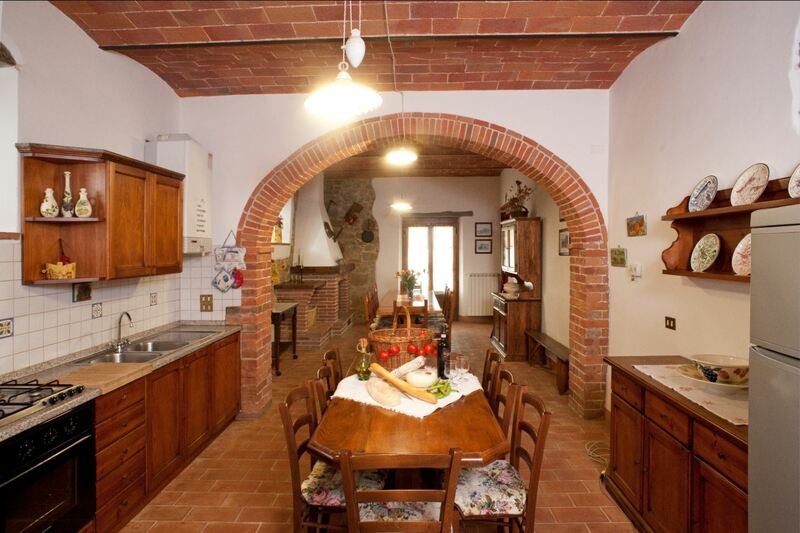 Ideal for visiting Tuscany and central Italy. 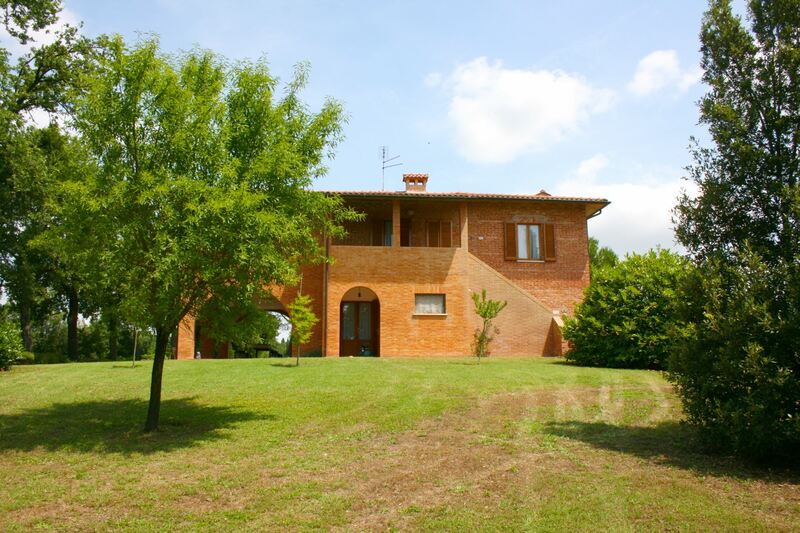 Part of an old country house with garden, heated swimming pool, Wi-Fi access. 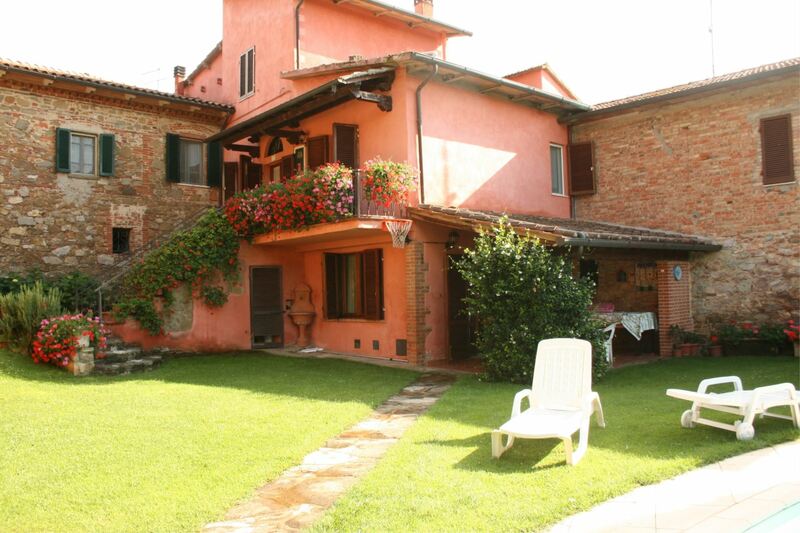 The small town of Lucignano is within walking distance. 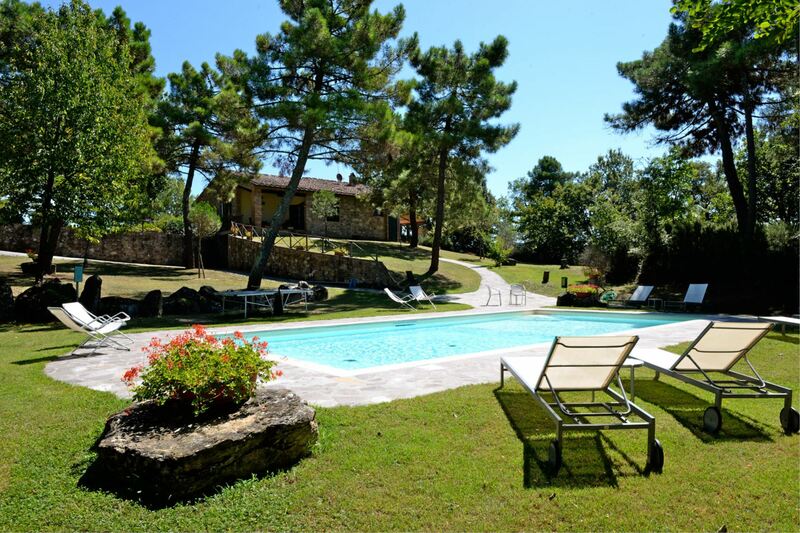 Villa with private pool, enclosed garden and Wi-Fi, can accommodate up to 12 people. 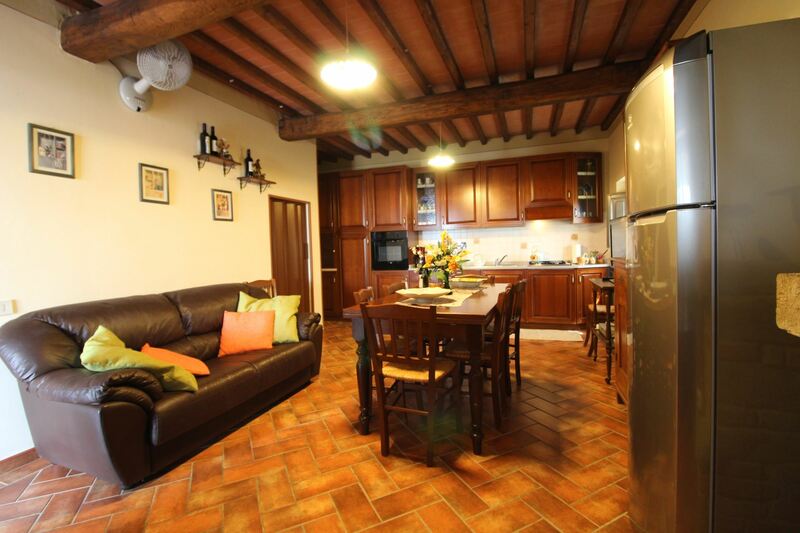 The village of Lucignano, with shops and restaurants, can also be reached on foot.